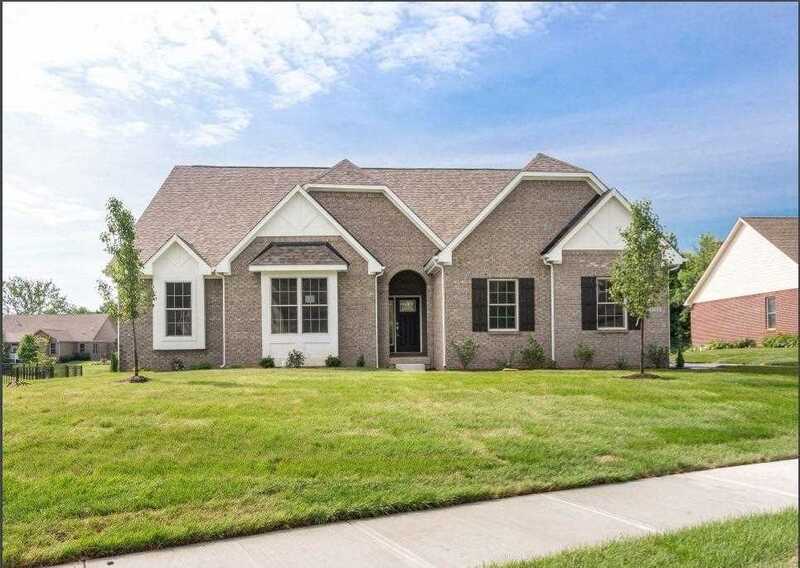 New 3300+ sq ft finished living space in this 4 bed/3.5 bath ranch on a partially finished bsmt. Main floor includes 4 bedrooms, 2.5 bath, 3 car garage. As you enter a large foyer greets w/ bed 2, 3, 4 + a full bath nearby. Gourmet kitchen features solid surface counters, Butler's Pantry, built-in stainless appliances & gas cook-top. Great Room inc. a coffered ceiling & gas fireplace & pond view. Master Suite w/ tray ceiling, tiled shower. Directions:Olio Rd to CR 900/96th St go West to light @ Carroll Rd. South on Carroll Rd to Geist Woods Estates on the left. SchoolsClick map icons below to view information for schools near 6784 W May Apple Drive Mccordsville, IN 46055.